MOSCOW, December 28. /TASS/. Director General of Russian football club Lokomotiv Moscow Ilya Gerkus announced his resignation on Friday. 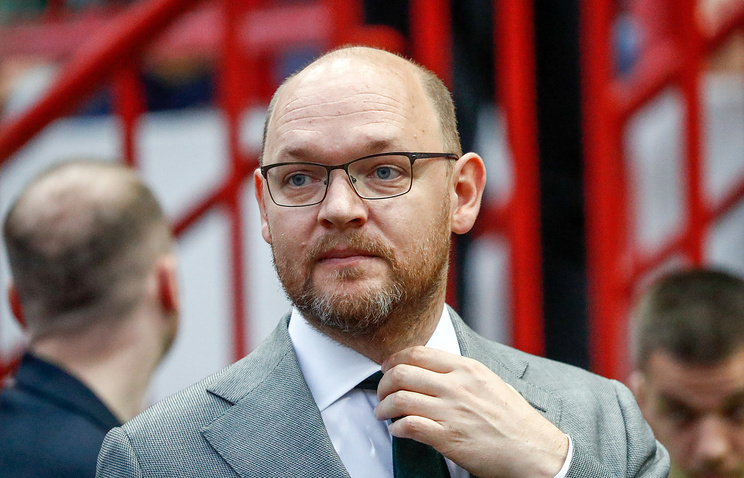 Earlier in the day, German specialist Erik Stoffelshaus, who worked with the Lokomotiv Moscow FC as the sporting director, also announced his resignation from the club. The 48-year-old German specialist took the post of the Lokomotiv Moscow FC’s sporting director in January 2017. He facilitated the club’s contracts with such players as Jefferson Farfan, Grzegorz Krychowiak, Benedikt Howedes and Fyodor Smolov. The club won the Russian championship in the 2017-18 season and grabbed the Russia Cup a year before. Before teaming up with Lokomotiv Moscow FC, Stoffelshaus held various posts in Germany’s Schalke FC and worked as a technical director at the York Region Soccer Association in Canada. Hey Buddy!, I found this information for you: "Director General of Russia’s Lokomotiv Moscow football club announces resignation". Here is the website link: https://russophile.org/director-general-of-russias-lokomotiv-moscow-football-club-announces-resignation/. Thank you.